Insures the timely development and execution of plan, campaigns, and projects to assure earnings, growth, and profit goals for Memark. Responsible for all creative operations for a specific group of accounts to include staff supervision and work production and directs the activities of subordinates to maintain the agency’s standards of creative excellence, timeliness, and profitability, while achieving the clients’ goals and resolves functional conflicts through consultation with regional function heads an experienced presenter. • Insures the timely development and execution of plan, campaigns, and projects to assure earnings, growth, and profit goals are achieved. • Plans, develops work goals, measurements, and training requirements necessary to provide both profitable and quality service to clients. 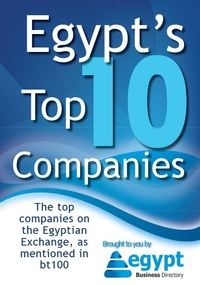 • Provides leadership/motivation and conveys the vision and values of the agency to staff. • Cooperates with the local account service directors to resolve differences which may lead to discord in the office. • Oversees creative consultations with account teams to assure appropriate creative strategies, adequacy/accuracy of input, schedules, production support, necessary reviews, and client presentations. • Trains and supervises assigned staff of writers, artists, and production; oversees their execution of all creative efforts to insure they are on strategy, on budget, and on schedule. • Keeps the account team leaders aware of the use of outside services and materials to assure timely billing and to minimize write-offs. • Recommend staffing and compensation changes. • Assures the staff adheres to established agency policy/procedures, with special emphasis on the purchase of outside services. • Maintains external professional relationships to assure the ongoing availability of specialized expertise, gifted freelancers, and reputable studios/producers when their services are required. • Participates in the new business efforts as directed. • Executes duties and assignments as directed in compliance with corporate guidelines and objectives. • Facilitates and promotes corporate initiatives and values throughout the function. • Bachelor’s degree in graphic design, art, communications or related field. • Five to 10 years’ experience in design, brand development and project management may be required. • Extensive knowledge of graphic fundamentals, print and web capabilities and a superior understanding of marketing and advertising principles. • Ability to multitask and to effectively lead a creative team, listening skills, project management skills, strong persuasion and presentation skills, and the ability to give creative direction and follow projects to completion. • Ability to read and comprehend simple instructions, short correspondence and memos. • Ability to write reports and correspondence. • Ability to effectively present information and respond to questions from groups of managers, clients, customers and the general public. • Ability to define problems collects data, establish facts and draw valid conclusions. • Ability to interpret an extensive variety of instructions in various forms and deal with several abstract/concrete variables. MS Office, word processing, spreadsheets, Internet software, E-mail, Database software, Macintosh software, Quark, Photoshop and Illustrator or Freehand.